Due to popular demand and success of our previous seminars, it is with great pleasure that SuisseRock are hosting another fantastic event. As interest rates in Switzerland and across Europe remain at 0% our clients have been turning to us in order to help them generate positive returns with very little risk. Most of us bank with UBS and Credit Suisse and pay for the privilege of doing so, but also benefit from an interest rate of 0%. Making our money work for us is extremely important as it allows our capital to grow and for us to achieve our objectives sooner. 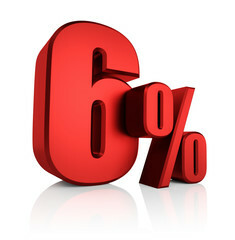 As a result many of our clients have benefitted from positive returns in excess of 6% with significant downside protection. Due to the success of our strategies we are offering you the opportunity to attend our upcoming seminar. We will explain to you exactly how our clients managed to achieve these returns and also inform you of our new offerings for 2019. As our previous tranches have been oversubscribed, we have secured our fourth tranche at a higher level to accommodate demand, offering a net 6% return with significant protection of capital and issued from some of the worlds strongest banks, such as UBS and Credit Suisse. In addition you will also enjoy a complimentary welcome drink upon arrival, the opportunity to stay behind after and network with other like minded professionals, where we will provide further refreshments and canapés. 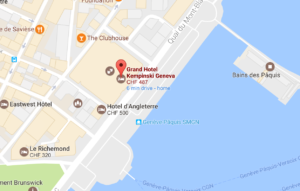 As usual our event will be held at the Grand Hotel Kempinski in Geneva on the 16th January, with a further three planned for the year. Due to popular demand and limited availability, please ensure you register for our event by entering your details on our registration page. Once completed we will email you your ticket for the event which you must bring with you to be aloud entry. In addition, why not make this event an even more enjoyable experience by inviting a friend/colleague of yours. Just enter their contact details also and we will send them their ticket and confirmation.